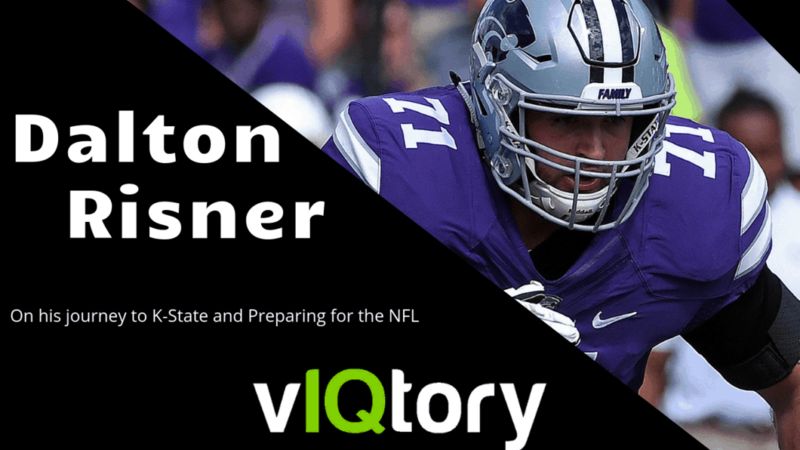 On this episode of the vIQtory podcast we are joined by 2x All-American, Senior Tackle from Kansas State, Dalton Risner. Dalton just finished a strong showing at the Senior Bowl which capped off an incredible collegiate career where he raked in the accolades. As a 3x team captain and 4 year starter his resume is second to none leading up to the NFL Draft. Dalton was kind enough to join us while he prepared for the Senior Bowl. He talked about his preparation, his journey and his foundation, RISnEr UP, which is just getting off the ground. CH: Nice. What was that number?